Kick off your visit on the 2nd (Tue): shop like a local with Ferry Building Marketplace. Keep things going the next day: examine the collection at Cable Car Museum, then get curious at Exploratorium, and then explore the striking landscape of Alcatraz Island. For ratings, other places to visit, where to stay, and more tourist information, use the San Francisco trip planner . Mumbai, India to San Francisco is an approximately 22.5-hour flight. You can also do a combination of flight and train; or do a combination of flight and bus. The time zone changes from India Standard Time (IST) to Pacific Standard Time (PST), which is usually a -13 hour difference. Traveling from Mumbai in July, you will find days in San Francisco are slightly colder (26°C), and nights are colder (16°C). Finish up your sightseeing early on the 4th (Thu) so you can travel to Los Angeles. 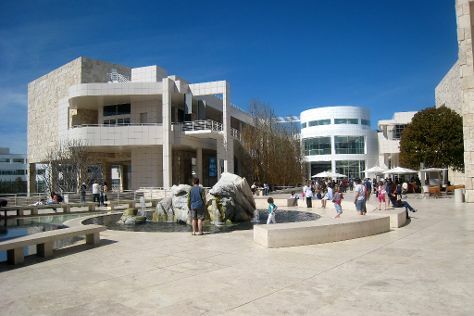 Start off your visit on the 5th (Fri): examine the collection at The Getty Center, explore the world behind art at Los Angeles County Museum of Art, and then see the sky in a new way at Griffith Observatory. For photos, where to stay, ratings, and other tourist information, go to the Los Angeles travel route planner. Traveling by flight from San Francisco to Los Angeles takes 4 hours. Alternatively, you can do a combination of train and flight; or drive. Expect a bit warmer temperatures when traveling from San Francisco in July; daily highs in Los Angeles reach 33°C and lows reach 22°C. Wrap up your sightseeing on the 5th (Fri) early enough to drive to Grand Canyon National Park. On the 6th (Sat), hike along South Kaibab Trail, look for gifts at Canyon Village Marketplace, then take in breathtaking views at Grand Canyon South Rim, and finally take in breathtaking views at Yavapai Point. Here are some ideas for day two: get great views at Mather Point and then tour the pleasant surroundings at Rim Trail. To find other places to visit, more things to do, and other tourist information, use the Grand Canyon National Park attractions planning website . Traveling by car from Los Angeles to Grand Canyon National Park takes 7.5 hours. Alternatively, you can do a combination of flight and bus; or do a combination of flight and shuttle. The time zone difference when traveling from Los Angeles to Grand Canyon National Park is 1 hour. Plan for little chillier nights when traveling from Los Angeles in July since evenings lows in Grand Canyon National Park dip to 13°C. Finish your sightseeing early on the 7th (Sun) to allow enough time to travel to Las Vegas. On the 8th (Mon), see the interesting displays at The Mob Museum, then get a taste of the local shopping with The Strip, and then ponder the design of Bellagio Fountains. Get ready for a full day of sightseeing on the 9th (Tue): look for gifts at Las Vegas North Premium Outlets, then get engrossed in the history at Titanic, and then explore the stunning scenery at Red Rock Canyon National Conservation Area. To see other places to visit, photos, and other tourist information, refer to the Las Vegas trip website . Getting from Grand Canyon National Park to Las Vegas by combination of flight and car takes about 4.5 hours. Other options: drive; or take a shuttle. The time zone difference when traveling from Grand Canyon National Park to Las Vegas is minus 1 hour. Traveling from Grand Canyon National Park in July, expect nights in Las Vegas to be much hotter, around 32°C, while days are somewhat warmer, around 47°C. Finish your sightseeing early on the 9th (Tue) so you can travel to Yellowstone National Park. Kick off your visit on the 10th (Wed): admire all the interesting features of Artist Point, then take in breathtaking views at Grand Canyon of the Yellowstone, and then explore the stunning scenery at S Rim Trail. Get ready for a full day of sightseeing on the 11th (Thu): witness a stunning natural landmark at Upper Geyser Basin, then witness a stunning natural landmark at Old Faithful, then take in the natural beauty of Grand Prismatic Spring, and finally take in the dramatic natural features at Gibbon Falls. To find more things to do, maps, reviews, and tourist information, use the Yellowstone National Park trip planner . Do a combination of flight and car from Las Vegas to Yellowstone National Park in 7 hours. Alternatively, you can drive. The time zone changes from Pacific Standard Time (PST) to Mountain Standard Time (MST), which is usually a 1 hour difference. Expect cooler temperatures when traveling from Las Vegas in July; daily highs in Yellowstone National Park reach 26°C and lows reach 4°C. Finish your sightseeing early on the 11th (Thu) so you can travel to Niagara Falls. Kick off your visit on the 12th (Fri): take in the dramatic scenery at Niagara Falls, then Head underground at Cave of the Winds, and then hike along Niagara Gorge Trail. On the next day, brush up on your military savvy at Buffalo & Erie County Naval and Military Park, take in the spiritual surroundings of Our Lady of Victory Basilica, then take in the exciting artwork at Charles E. Burchfield Nature & Art Center, and finally shop like a local with Kazoo Factory, Museum, & Gift Shop of Eden. For reviews, where to stay, and other tourist information, you can read our Niagara Falls online visit planner . Traveling by combination of car, flight, and bus from Yellowstone National Park to Niagara Falls takes 10 hours. Alternatively, you can do a combination of car, flight, and train; or drive. Due to the time zone difference, you'll lose 2 hours traveling from Yellowstone National Park to Niagara Falls. When traveling from Yellowstone National Park in July, plan for somewhat warmer days in Niagara Falls, with highs around 32°C, while nights are warmer with lows around 20°C. Cap off your sightseeing on the 13th (Sat) early enough to travel to Atlanta. Start off your visit on the 14th (Sun): steep yourself in history at Centennial Olympic Park, then shop like a local with Center for Civil and Human Rights, then contemplate the long history of Martin Luther King Jr. National Historic Site, and finally take in the exciting artwork at HomeGrown Decatur. To see photos, where to stay, other places to visit, and more tourist information, go to the Atlanta holiday planner. Traveling by combination of bus and flight from Niagara Falls to Atlanta takes 6 hours. Alternatively, you can do a combination of train and flight; or drive. Expect somewhat warmer temperatures when traveling from Niagara Falls in July; daily highs in Atlanta reach 37°C and lows reach 26°C. Wrap up your sightseeing on the 14th (Sun) early enough to travel to Miami. Kick off your visit on the 15th (Mon): browse the different shops at Dolphin Mall, explore the world behind art at Wynwood Walls, and then get a taste of the local shopping with Aventura Mall. To find maps, more things to do, traveler tips, and other tourist information, read our Miami vacation maker . Fly from Atlanta to Miami in 4 hours. Alternatively, you can do a combination of flight and train; or drive. Plan for somewhat warmer nights when traveling from Atlanta in July since evenings lows in Miami dip to 30°C. Cap off your sightseeing on the 15th (Mon) early enough to travel to Washington DC. On the 16th (Tue), explore the world behind art at National Gallery of Art, get engrossed in the history at United States Holocaust Memorial Museum, and then explore the different monuments and memorials at Arlington National Cemetery. 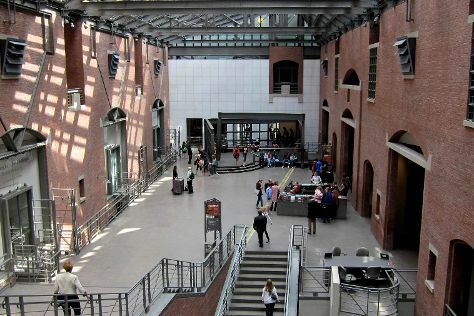 Get ready for a full day of sightseeing on the next day: get a new perspective on nature at Smithsonian National Museum of Natural History, examine the collection at National Air and Space Museum, and then examine the collection at Steven F. Udvar-Hazy Center. To see where to stay, reviews, maps, and more tourist information, you can read our Washington DC holiday builder app . You can fly from Miami to Washington DC in 4.5 hours. Other options are to do a combination of flight and train; or drive. Traveling from Miami in July, Washington DC is slightly colder at night with lows of 26°C. Cap off your sightseeing on the 17th (Wed) early enough to travel to Beach Haven. 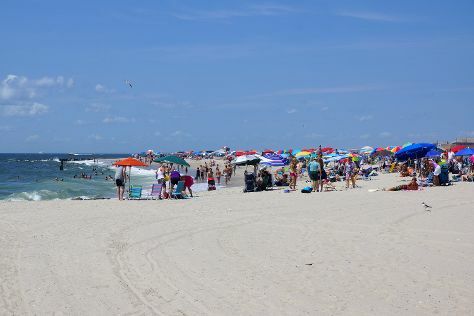 Beach Haven is a borough in Ocean County, New Jersey, United States, that is located on Long Beach Island (LBI) and borders the Atlantic Ocean. Start off your visit on the 18th (Thu): learn about all things military at Museum of NJ Maritime History, head outdoors with Black Pearl Pirate Excursion, and then stroll through Ship Bottom Beach. Plan my day in Beach Haven using traveler tips and tourist information provided by Inspirock. Use the Route module to find suitable travel options from Washington DC to Beach Haven. Traveling from Washington DC in July, Beach Haven is little chillier at night with lows of 23°C. Cap off your sightseeing on the 18th (Thu) early enough to travel to Wildwood. Wildwood is a city in Cape May County, New Jersey, United States. 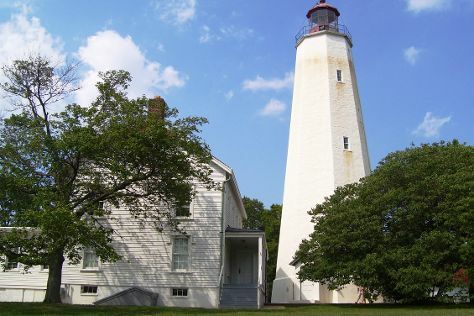 On the 19th (Fri), stroll through Wildwood Beach, then examine the collection at Cape May Lighthouse, and then kick back and relax at Cape May City Beaches. For where to stay, photos, other places to visit, and tourist information, you can read our Wildwood online driving holiday planner . You can drive from Beach Haven to Wildwood in 2 hours. Expect a daytime high around 33°C in July, and nighttime lows around 24°C. Wrap up your sightseeing on the 19th (Fri) to allow time to drive to New York City. On the 20th (Sat), enjoy the sand and surf at 8th Ave Jetty, stop by Carter & Cavero Old World Olive Oil Company, and then grab your bike and head to Bliss Price Arboretum and Wildlife Sanctuary. Get ready for a full day of sightseeing on the next day: browse the eclectic array of goods at Chelsea Market and then immerse yourself in nature at Gateway National Recreation. For photos, more things to do, ratings, and more tourist information, refer to the New York City tour itinerary tool . Drive from Wildwood to New York City in 3 hours. Alternatively, you can take a bus; or do a combination of bus, tram, and train. In July, daily temperatures in New York City can reach 35°C, while at night they dip to 26°C. Finish your sightseeing early on the 21st (Sun) so you can travel back home.